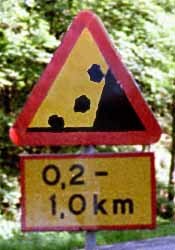 My first impression was: Close to some road signs from Iceland . But then I noticed a striking similarity with another set of finds. This sign, indeed, is a composition of the same basic building blocks which came to light in Jordan.